Interesting Facts The advertisement photo for Moon Deco showed an all white casserole dish, but the version released to the consumer market had a red circle on either side of the casserole dish. The 1972 “Gifts” section of the Pyrex catalog displays the new Moon Deco 2 ½ quart casserole with lid (475). 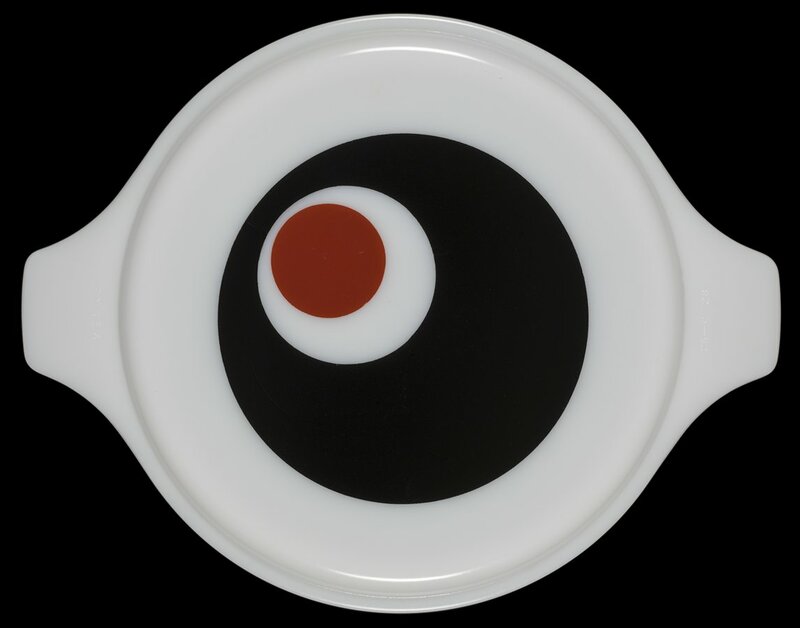 The advertisement shows an all-white opalware casserole with an opalware lid decorated with a large black circle with small white and red circles inside. This may have been the original iteration of Moon Deco because the most commonly found design has a red circle printed on both sides of the opalware casserole. Moon Deco retailed for $5.95 and came with a black underplate.